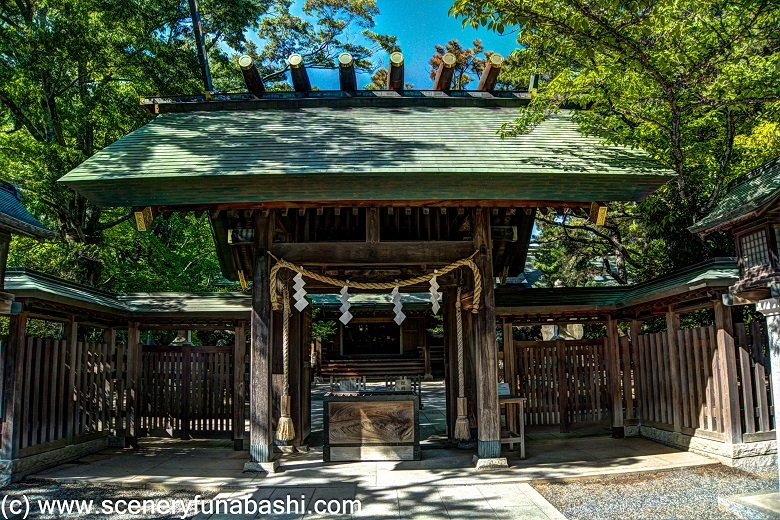 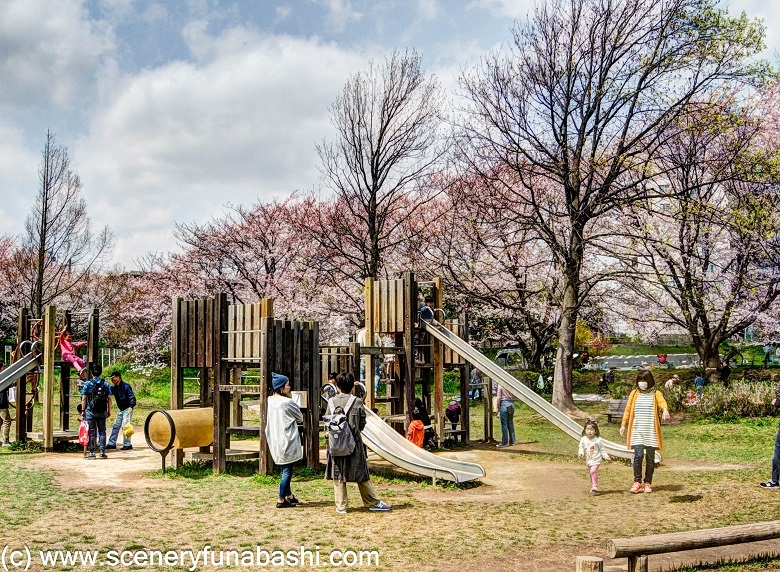 Nagatsugawa water park is a calm park located near Tsukada station of Tobu line. 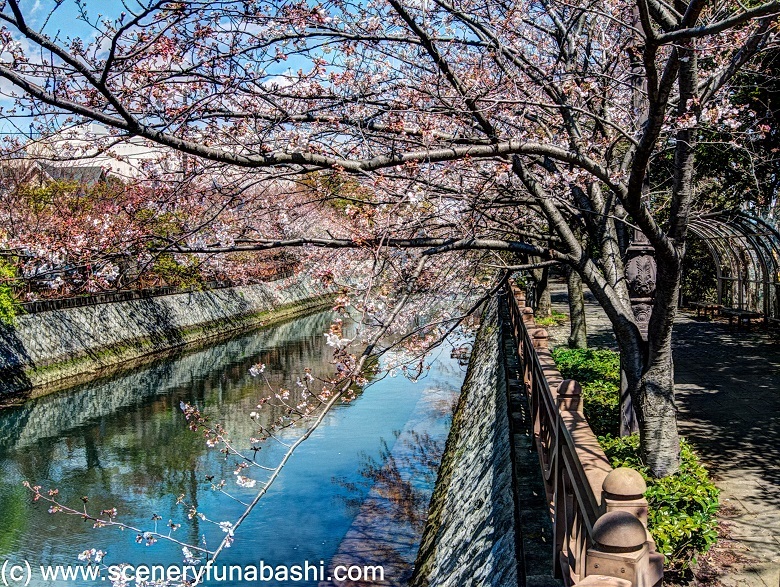 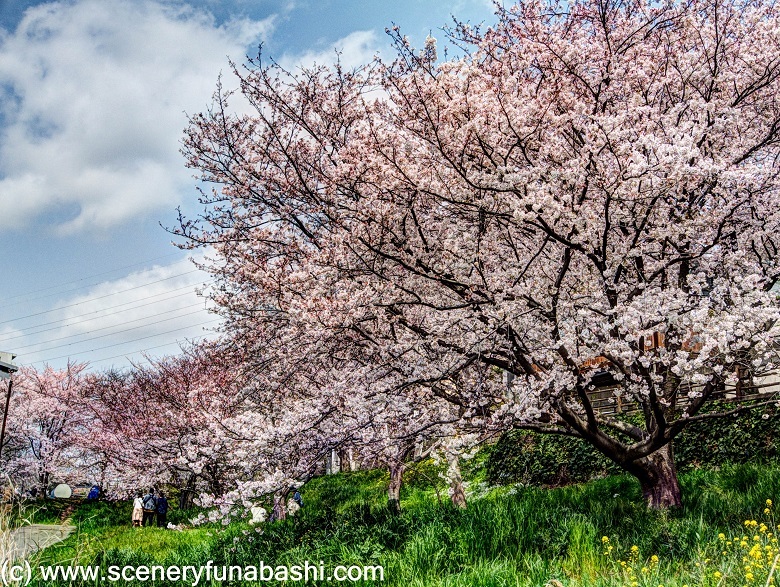 Lot of cherry trees are planted around the park, and it is a nice place to enjoy cherry blossoms viewing in relaxed mood. 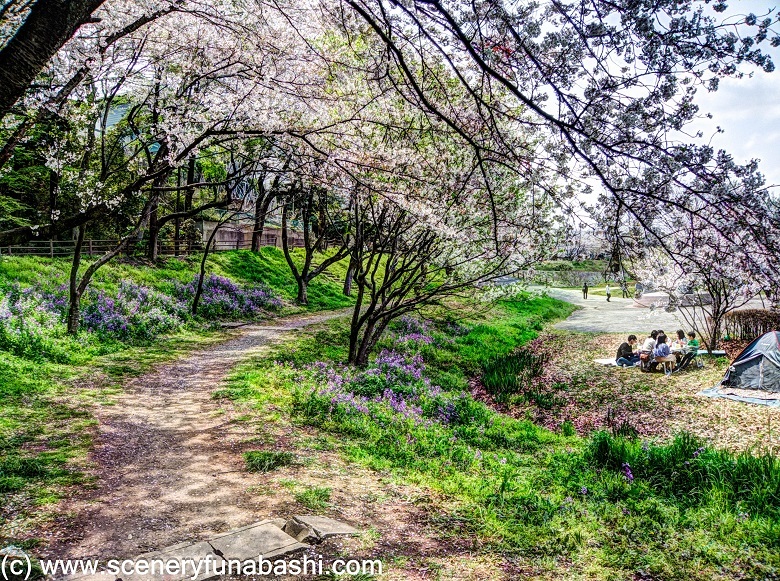 I suppose that those cherry blossoms will be in full bloom this comming weekend. 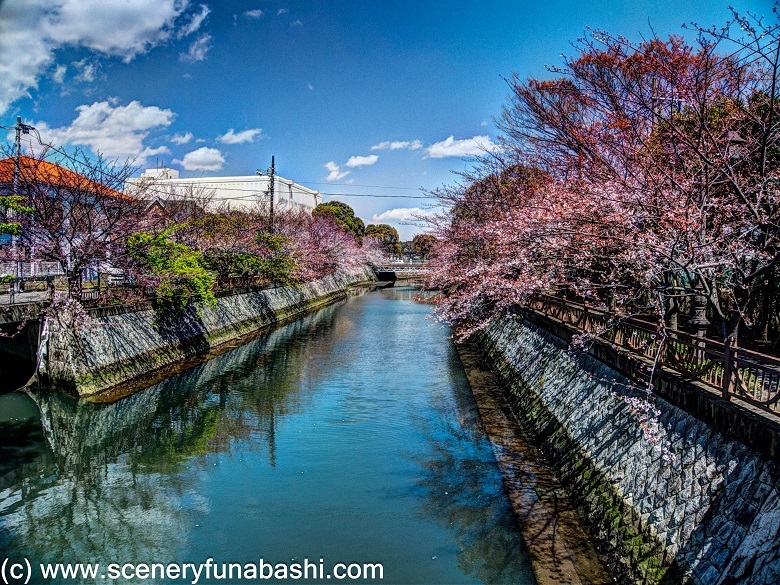 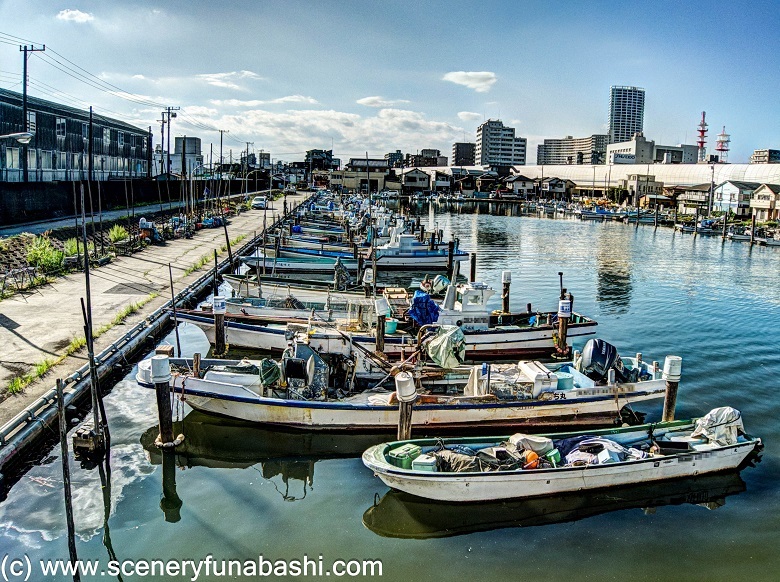 If you walk along the Ebigawa River from the city center of Funabashi toward the South and pass across Route 14, you will realize that this city is faced to Tokyo bay. 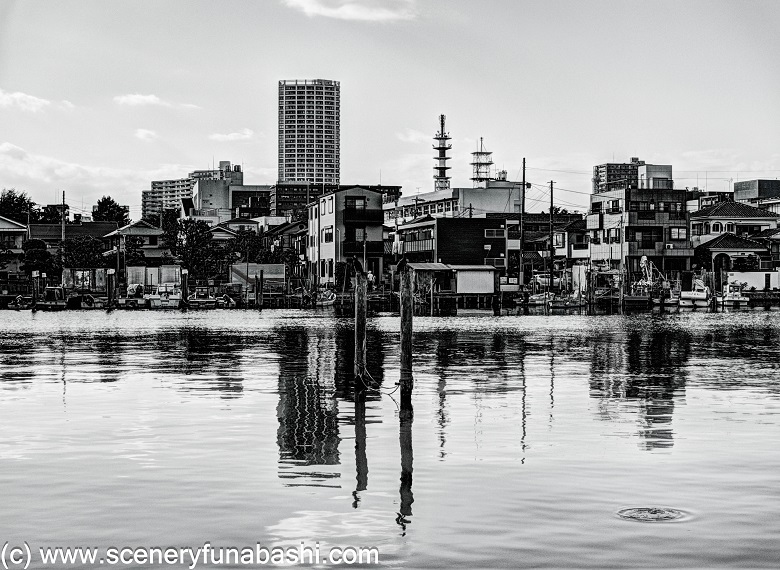 I took this photo from the west side of the river. 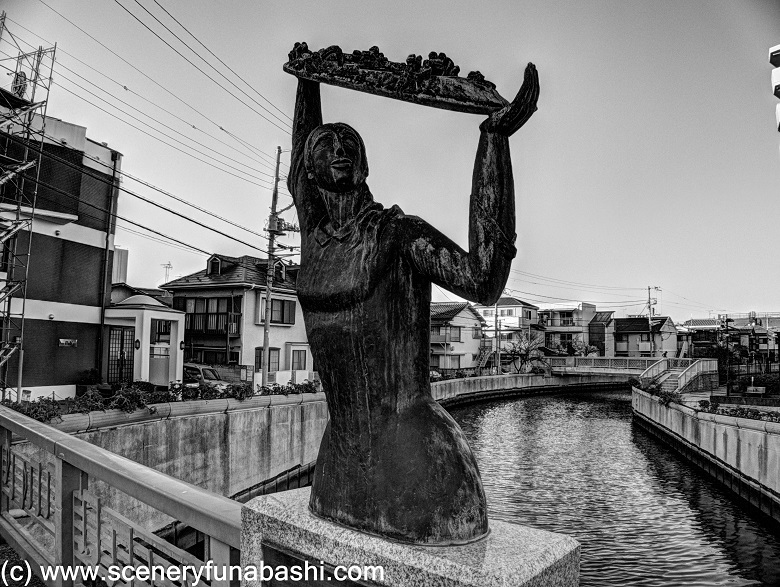 The bridge in this photo is a bridge over a short canal which branches from the river. 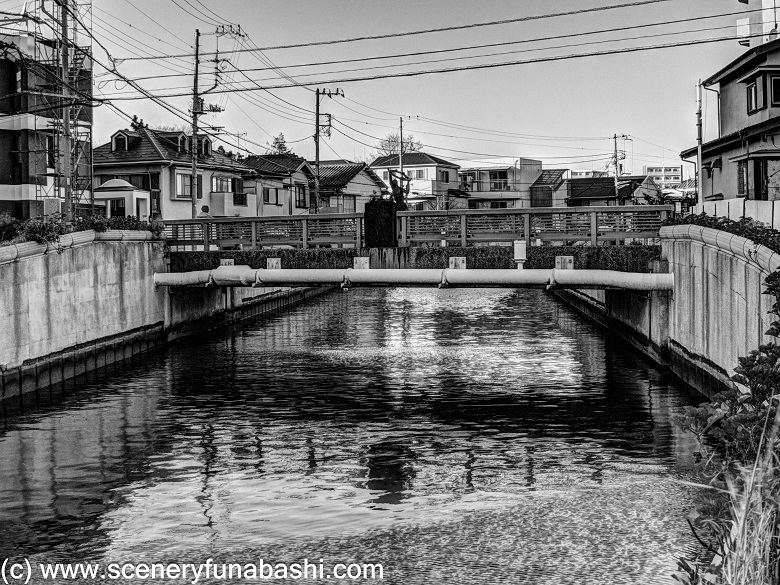 It was calm day and the water was still. 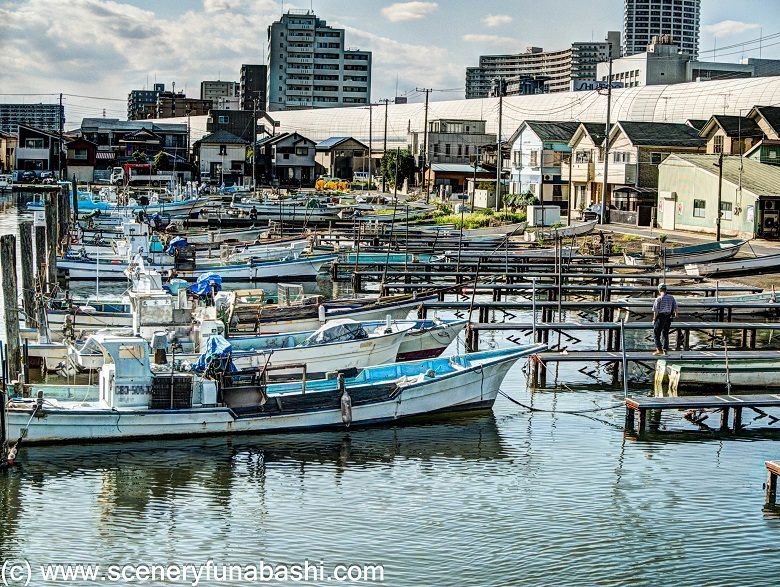 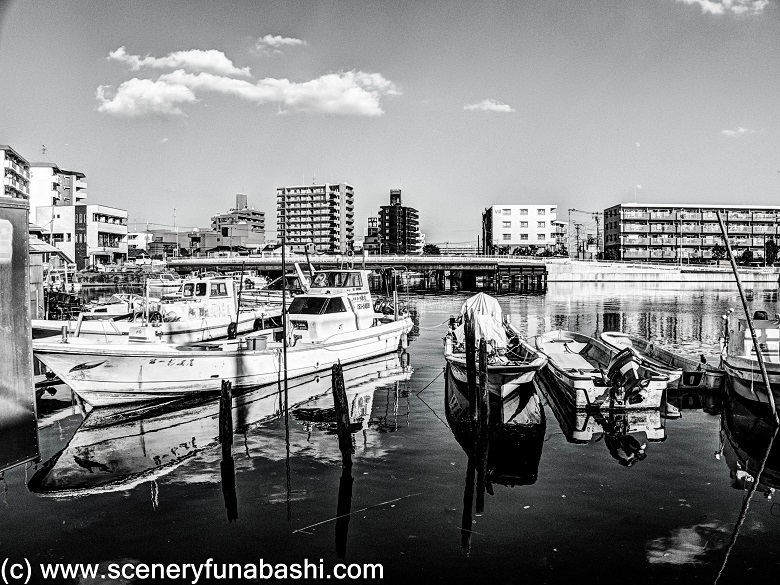 Many small fishing boats stay at a boat park located inside the sluice gate in Funabashi fishing port. 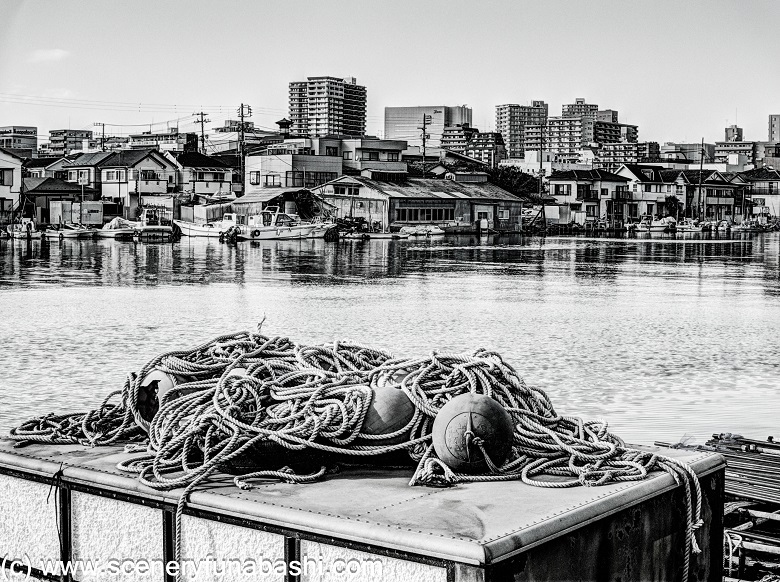 Those boats are for catching clams.